Nokia is renowned for easy-to-use, simple mobile phones, but its recent line-up of high-end handsets has left some people very confused. 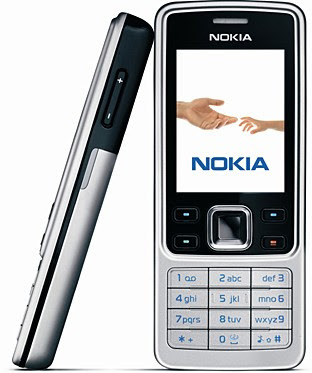 The Nokia 6300, however, gets back to basics--combining modern design with good old-fashioned simplicity. It's currently available at about S$198 with a two-year contract. Alternatively, you can buy it SIM-free for about S$548. You may have thought the days of mobile phones sturdy enough to beat a mugger about the head with were over, but the 6300 feels very solid indeed. It's made from a combination of tough stainless steel covers and glossy, expensive black plastic. Fortunately, the 6300 is more Van Damme than Schwarzenegger and comes in at a hard but slim 12mm deep. It's comfortable to carry around in a jacket or trouser pocket and unlike other metallic handsets it doesn't feel that heavy. The 6300's 320x240-pixel (QVGA) color screen displays up to 16 million colors and is good for viewing photos, watching videos and reading text messages or emails on. Measuring a relatively large 30mm wide by 40mm tall, you won't need to squint when looking at it. We were relieved to see the 6300's keypad features large keys, making it easy to use. Our only niggle is that the four-way navigation key above the keypad feels a little on the thin side and can be awkward to press. At the bottom there's a small charging port that fits the new Nokia chargers, a 2.5mm headphone jack and a mini-USB port that lets you connect the 6300 to your PC, which means no more searching for the proprietary Nokia USB cable. One noteworthy design feature is the blue lights on either side of the 6300, which glow when you have an unread text message--hardly essential, but we like it nonetheless. Nokia has kept it very simple on this handset and opted for the straightforward Series 40 user interface. This means it's very simple to use and easy to understand, particularly if you're upgrading from an old Nokia phone. One tap of the menu button underneath the screen and you're straight into the menu. You can view the menu as a grid of icons, as tabs or as a list. You also have the option to rearrange the icons so they're in the order you want them. When you hover over an icon in the menu for long enough, a pop-up window appears explaining what that icon is for. The menu gives you access to, among other things, the 6300's media applications. The 6300 boasts a camera, a music player, a video player, an FM radio and a voice recorder. The 2-megapixel camera on the back lets you take still photos or shoot video and there's the option to adjust several settings, including a timer and night mode. We're disappointed, however, that there's no auto-focus or flash on the camera as it means that photos come out blurry if you don't hold the 6300 very still, and while there is a night mode, taking pictures in very low light isn't really an option. You can send pictures to friends using Bluetooth or via GPRS/EDGE in an email or MMS message. The GPRS/EDGE connectivity also works in conjunction with the 6300's own Web browser or the Opera Mini Web browser that comes pre-installed. Other pre-installed apps include a Bluetooth presenter that lets you control PowerPoint presentations and Nokia's sensor app, which lets you share pictures and personal information over Bluetooth. You can download more Java applications for the 6300 on the Internet and install them using the Nokia PC Suite. The PC Suite also lets you transfer music and video files to the 6300's internal memory or to a 2GB (or smaller) microSD card, which will hold about 480 songs. The 6300's music player supports MP3, MP4, AAC, AAC+, eAAC+, H.263 and H.264 files. You can listen to the FM radio and your own music using the proprietary headphones, which have a small 2.5mm jack plug, but feature a built-in mic for hands-free calls. Alternatively, you can listen to music wirelessly via a pair of stereo Bluetooth headphones, but these won't work with the FM radio. One of the Nokia 6300's hidden talents is its ability to upgrade and synchronize data wirelessly. FOTA (firmware upgrade over the air) support lets you upgrade the 6300's firmware wirelessly and SyncML lets you synchronize your contacts and calendar, among other things, using services such as ZYB. Other features include an email client that's easy to set up and supports most popular email services, including Gmail and Yahoo mail. There's also a voice recorder, alarm clock, calendar, to-do list, notes, calculator, countdown timer, stopwatch and Java games. The 6300's audio quality during calls was good and we didn't notice any distortions, echoing or muffling. The speakerphone is loud and worked as expected, but you probably want to use the headphones to listen to music rather than the loudspeaker--your fellow commuters would certainly agree. The camera took decent pictures for MMS messages or mementos, but the comparatively low-resolution camera and lack of auto-focus meant that pictures came out blurry when we viewed them at full size. The GPRS/EDGE connectivity is rather slow and browsing the Web or downloading data isn't a particularly pleasant experience. We're disappointed that the 6300 doesn't come with 3G, as it would make downloading data much quicker. The battery life is good and even after using it moderately for about three days we didn't need to recharge it. Nokia quote the 6300's battery life at 14.5 days on standby and 3.5 hours talk time. If you want 3G connectivity and a better camera, it's worth having a look at Sony Ericsson's K800i, and the K810i when it comes out. Alternatively, the Nokia E65 is another good new handset from Nokia that's slim and comes packed with features. Otherwise, the 6300 epitomises what Nokia does best--it's simple, it's easy to use and it feels well built. Yes, the camera could have been fitted with a higher-resolution sensor and it would have been great to have 3G connectivity. But this is still one of the best Nokia handsets we've seen so far, and it's set to become popular with businessmen and teenagers alike.